June 2018 – Mandarin Oriental, Prague has launched an accommodation package for lovers of good food. 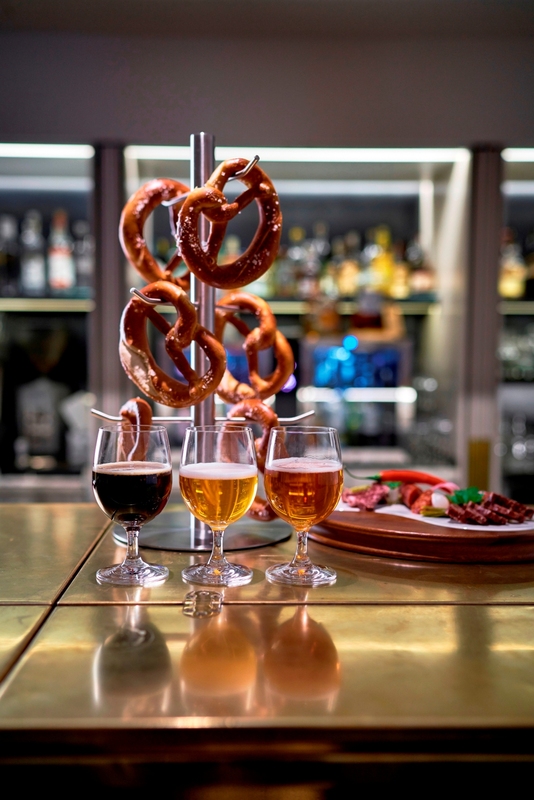 Guests booking the hotel’s Czech Foodie Fan package will enjoy a guided tour of the best Czech food shops and restaurants in Prague, a Czech beer tasting, and other treats, including luxurious accommodation at the five-star hotel. Czech cuisine is delicious, so Mandarin Oriental, Prague has liaised with food experts to offer guests a tour that not only gives an insight into Prague’s history and architecture, but also its culinary culture. On arriving at the hotel, guests will be welcomed with a traditional Czech snack and an Insider’s Prague Foodie Map that highlights celebrated culinary hotspots. During their stay, guests will be taken on an exciting tour of the city center by an experienced guide who will introduce them to Czech specialties at its best restaurants, delis and other gourmet havens, and also point out places of architectural and historical interest. On returning to the hotel, guests will have an opportunity to taste a selection of Czech beers made with the finest-quality hops from the Zatec region. A tasty surprise, included as part of the turndown service, ends a day of culinary adventure on a sweet note. Package rates start from EUR 335 for a minimum two-night stay, excluding 15% VAT. Package is based on double occupancy and is subject to availability. The Czech Foodie Fan package can be booked online at www.mandarinoriental.com.